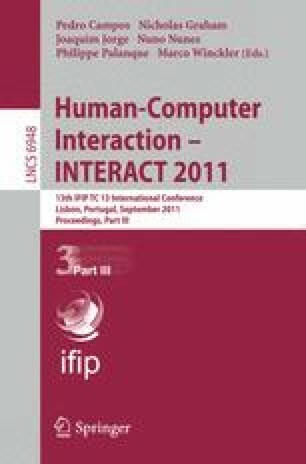 We present recommendations for the design of flexible electronic book readers, based on an empirical evaluation of form factors and input techniques in a page navigation task. We compared capacitive touch, pressure, and bend sensors between rigid and flexible form factors using a prototype electronic book reader. Results suggest that the time required to perform bend techniques is comparable to button techniques for page navigation on flexible form factors. We also found that a bend technique had fewer errors on flexible form factors. We discuss the physical affordances of flexible e-book form factors, and why they might be preferable to rigid designs. We conclude by presenting recommendations for the design of future flexible e-book readers. Electronic supplementary material is available for this chapter ( 10.1007/978-3-642-23765-2_9).